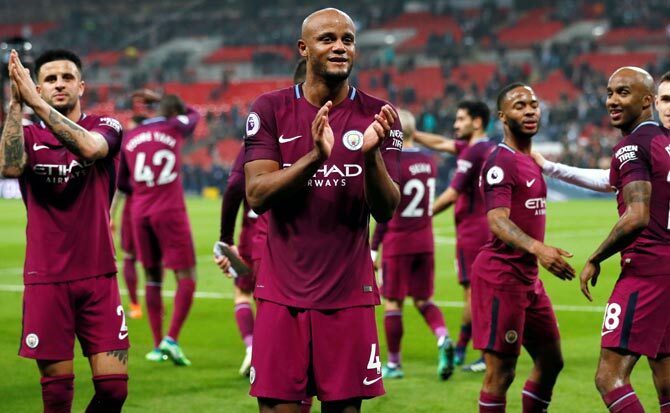 Players from newly-crowned Premier League champions Manchester City dominated the Professional Footballers' Association's (PFA) Team of the Year announced on Wednesday, occupying five out of 11 spots. City defenders Kyle Walker and Nicolas Otamendi, midfielders David Silva and Kevin De Bruyne as well as all-time top scorer Sergio Aguero were named in the side. Tottenham Hotspur had three players on the list, including England striker Harry Kane, who made the team for a third straight year along with Manchester United goalkeeper David de Gea. Liverpool forward Mohamed Salah, who has 40 goals across all competitions this season and was nominated for the PFA Players' Player of the Year award, also made the team. Chelsea had a lone representative in defender Marcos Alonso. 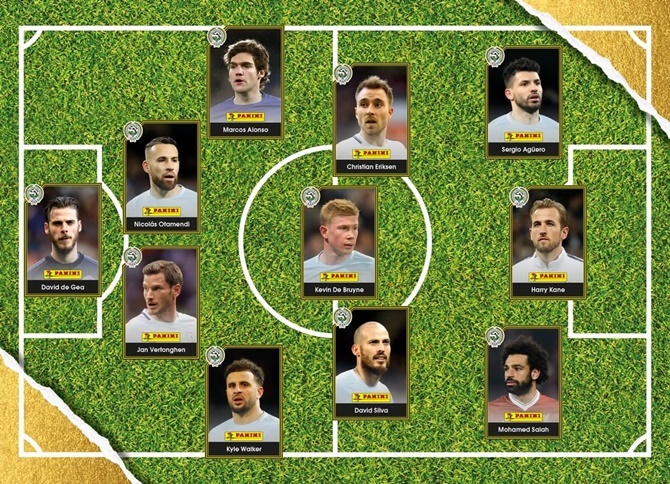 PFA Team of the Year: David de Gea, Kyle Walker, Jan Vertonghen, Nicolas Otamendi, Marcos Alonso, David Silva, Kevin De Bruyne, Christian Eriksen, Harry Kane, Mohamed Salah, Sergio Aguero. Should India boycott Birmingham Commonwealth Games? PIX: Bollywood and IPL! What a sizzling combo!